We are at capacity and have closed the waiting list. If you have already registered, you may still purchase bag or banquet add-ons below. Your ticket includes the reception listed as well. Fraser and Pamela invite you to join them in St Louis, Missouri for 4 days of astronomy and other geekery. 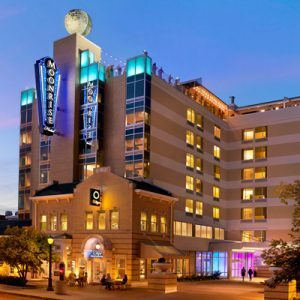 We have reserved event space in the amazing Moonrise Hotel, right in the heart of the famous Delmar Loop. Things will kick off Friday evening with an opening reception. Both Saturday and Sunday will be a mix of astronomy talks, practicing photography skills for capturing the eclipse, and otherwise hanging out talking science. For the day of the eclipse, we have chartered buses to take us to the eclipse. Exactly where we land will depend on weather. Plan A is Carbondale, Illinois, where NASA will be hosting their webcast, and where a myriad of science activities are planned. 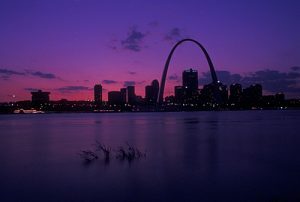 Plan B is in a park south of St Louis, where the travel is less, but so are the NASA-related activities. A reception with food and a cash bar on Friday night from 6-10 PM. Attendees are responsible for their own travel to St Louis, all meals, and their hotels costs. * We are pleased to be partnering with the Astronomical Society of the Pacific on this event. All ASP members will receive the eclipse go-bag for free!